The duo: our Coffee Face Scrub to unclog your pores and our Night Face Lotion to hydrate your skin. 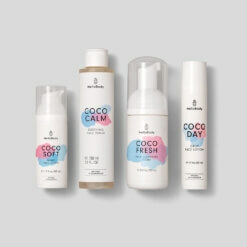 Coco Pure keeps your skin hydrated thanks to its natural moisturizers and brightens dull skin by stimulating blood flow. 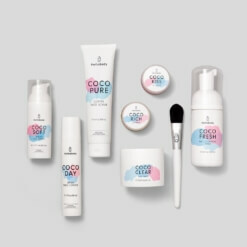 Our Coco Soft contains Shea Butter to retain your skin’s natural moisture, and Avocado Oil as an antioxidant for improving skin regeneration and protection from the harsh elements. We use Heilmoor Clay to improve blood circulation, revitalize and purify your skin. 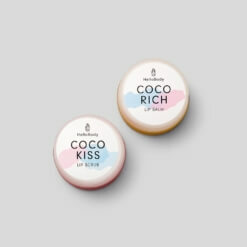 Buff away unwanted dry skin with our Coco Pure (2 – 3 times a week). It contains kaolin (white clay) that binds and draws out the toxins as well as stimulate circulation for a beautifully smooth complexion. 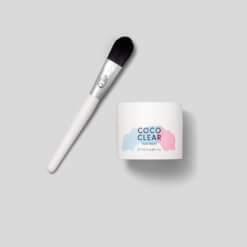 Apply a small amount of Coco Soft to your face and neck, giving your skin the moisture boost and care it needs after using the face scrub. HelloBody wishes you a wonderful night.